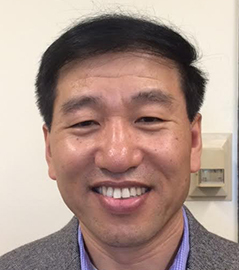 Zhijun Wang received his PhD in Chinese linguistics and second Language acquisition from the University of Illinois at Urbana-Champaign. He has been teaching Chinese as a second language in China, Thailand and US for more than 19 years. His research interests include Chinese linguistics, Chinese language pedagogy, second language acquisition of Chinese and Chinese psycholinguistics. His book “Situation Types and Chinese Aspect Marker Le” is forthcoming. He has published on Chinese Aspect and Chinese Adjective Reduplications. PhD in East Asian Languages and Cultures from University of Illinois at Urbana-Champaign Certificate of Advanced Study in Second Language Acquisition and Teacher Education. "A Study on the Requirements of Learners in L1 Environment for Chinese Language Learners’ Dictionary (in Chinese)," Yuxin Hao & Zhijun Wang, TCSOL Studies (Teaching Chinese to Speakers of Other Languages Studies), 2013, Vol. 3, pp. 50-57. "L2 Acquisition of Topic Structures in Mandarin Chinese," Proceedings of 25th NACCL Conference, 2013, University of Michigan, co-authored with Feng-his Liu.